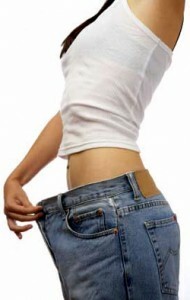 In just 90 minutes you can be on your way to losing inches of stubborn fat that will then be eliminated from your body. Using soya bean extracts this wrap breaks down hard fatty deposits and helps to eliminate them. You will be body brushed, shrinking violet solution applied to your body and wrapped in a non toxic film. after an hour you are unwrapped, minus inches! The Universal Contour Wrap guarantees you’ll lose at least 6 inches in just 2 hours, making it the perfect solution when you have to look your best for that special occasion. This guarantee only applies to clients having a full body wrap, no guarantees can be given to clients having ‘partial’ or ‘home’ body wraps. Dry body brushing followed by stimulating and draining massage techniques on problem areas. Includes detox foot reflex massage to aid elimination. A course of 10 treatments are required for lasting improvement to cellulite. Course cost £540.00 including homecare. Caci quantum body sculpting/toning. Using electronic micro technology pads which stimulate and re-educate muscles to firm, tone and sculpt. Target specific areas or pad your whole body. Equivalent to approximately 300 exercises per session.